The Backwoods Hunting & Fishing Expo, held at the Oklahoma State Fairgrounds in Oklahoma City, is a trade show featuring a variety of hunting and fishing vendors from all over the United States. This expo offers visitors an exciting program of attractions, exhibits and seminars with guest experts from a wide variety of fields. 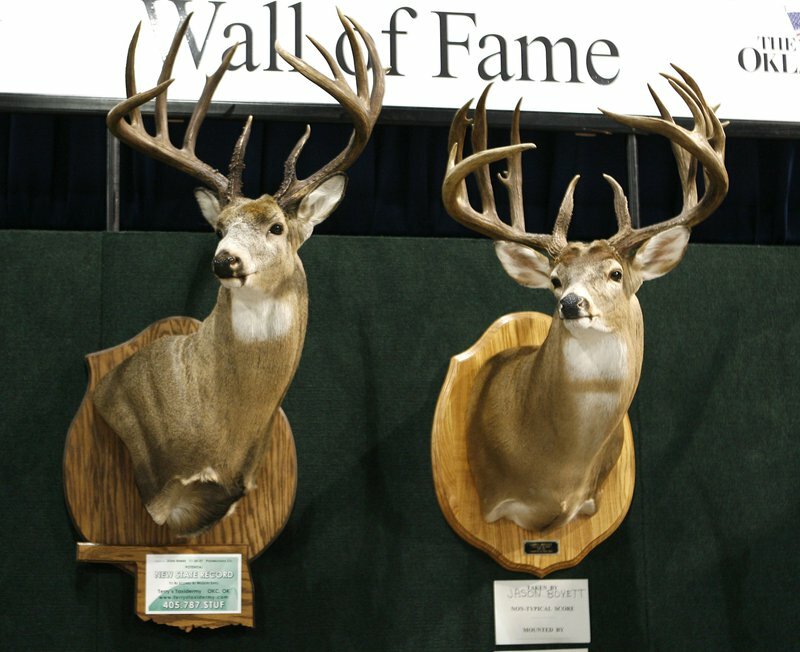 The Backwoods Hunting & Fishing Expo is a large, three-day show that will appeal to anyone who loves the great outdoors, including experienced hunters and fishermen, as well as novices. Bring the whole family and participate in several youth and adult competitions and contests. Come to the Backwoods Hunting & Fishing Expo to witness a large display of Oklahoma trophy whitetail bucks, as well as a state turkey calling contest. Come see life-size deer mounts of unique antler configurations and check out the fishing tank stocked with catfish. Don't miss the various seminars held throughout the day. As an added bonus, daily door prizes will be given away hourly. There will also be a wide variety of children's activities at this year's expo. Watch them fish for catfish, climb a rock wall or create a piece of outdoor art. The Backwoods Hunting & Fishing Expo will also feature hunting guides from all over North and South America, Alaska, Canada and Africa booking hunts for African game, elk, mule deer, antelope, bear, whitetail, wild turkey and more. Strike up a conversation with fishing guides representing Oklahoma lakes, or simply browse through an impressive selection of fishing tackle, hunting gear, camouflage clothing, archery equipment, outdoor wear, fishing rods, reels, lures and accessories galore. Visitors to the Backwoods Hunting & Fishing Expo will also have the opportunity to peruse a variety of ATVs and other off-road vehicles, boats, deer stands and blinds, feeders, turkey hunting supplies and much more. Wildlife artists and vendors selling home decor, jewelry, purses and other accessories will also be on-hand.